This well maintained two bedroom, two bath, two car garage, Islander floor plan home is just waiting to be moved into! Crown molding, upgraded light fixtures and ceiling fans, and all new carpet! The spacious kitchen boasts upgraded appliances, 42" wood cabinets, solid surface counter top, closet pantry, and breakfast nook. Popular split plan with a spacious Owner's suite at the back of the home that features a walk in closet with custom built in shelving and private bath with double sink comfort height vanity and large, tiled walk-in shower. The second bedroom is perfect for overnight guests, with the second bath located conveniently near it. Great room opens up to the relaxing screened in extended lanai overlooking a conservation area. A bird watcher's dream! 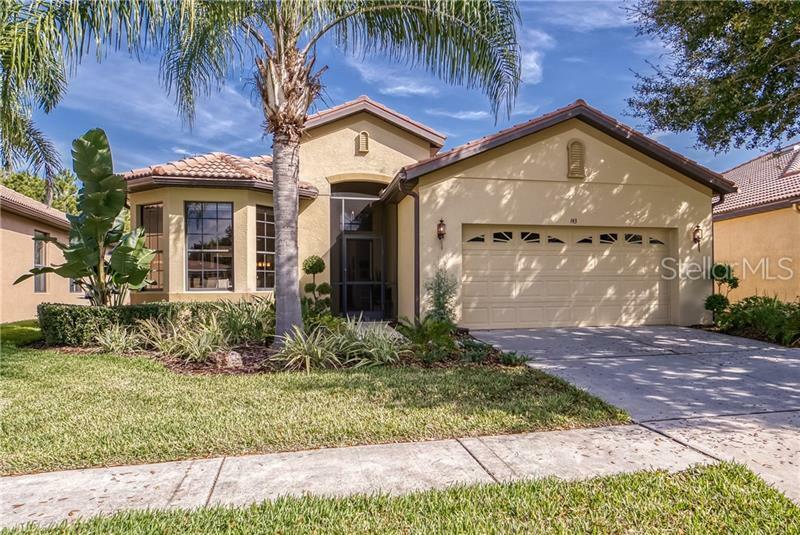 Located in the maintenance free Del Webb Community, Southshore Falls. This gated community has a spectacular clubhouse with an abundance of amenities-3 community pools, hot tub, fitness center, internet cafÃ©, bocce ball, pickle ball, tennis courts & putting green. Very active community with lots of activities & clubs. Centrally located between Tampa, St. Pete, Bradenton & Sarasota (30-45 minutes) w/easy access to I-75. Close to airports, cruise lines, beaches and hospitals. Call for your private showing today!